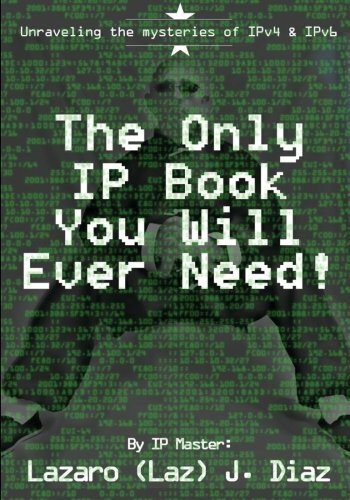 PDF of: The Only IP Book You Will Ever Need! — The Networking Doctors: CISCO Certification| CCNA Training | IT networking Courses Become a Patron! PDF of: The Only IP Book You Will Ever Need! For those having a difficult time understanding subnetting & IP's, this book is for you. I wrote The Only IP Book You Will Ever Need so that I could explain how easy it really is if you use my method. You can also get the paperback copy of the book on AMAZON! Please browse through our products. We know that there are only two (2) right now, but we will be adding more products in the next few weeks to make sure you have the tools you require, not only to pass a certification exam but also products that will help you with your health & happiness overall. Check often to see what's new & make sure to subscribe to our website to get the latest promotions, discounts and other things we think you might benefit from.